Spent the day hiking on Table Mountain with a friend, Elsa from Holland. Elsa lived near Johannesburg as a child, moved back to Holland during South Africa’s turbulent 1960s, and then returned to South Africa later in life. 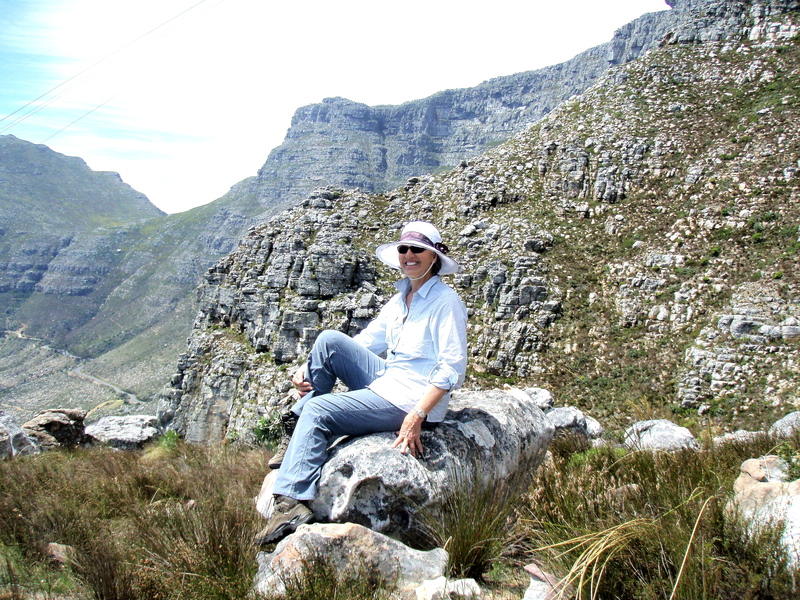 She and her husband began hiking on Table Mountain 30 years ago. She takes it a bit slower these days – fine with me. It was a hot sunny day and we started at the Kloof Nek parking lot and headed up the mountain through a patch of gum trees. Elsa wanted to explore trails and revisit some vistas she enjoyed years ago. Horrified when I saw the India Venster warning sign because I’d heard it makes Platteklip Gorge look like child’s play (scream), I reluctantly followed Elsa up the trail. It certainly WAS very steep but we took a slow pace up the mountain. We stopped just before the part where the hike becomes more like rock climbing than hiking. The views were magnificent and it was a fantastic experience! 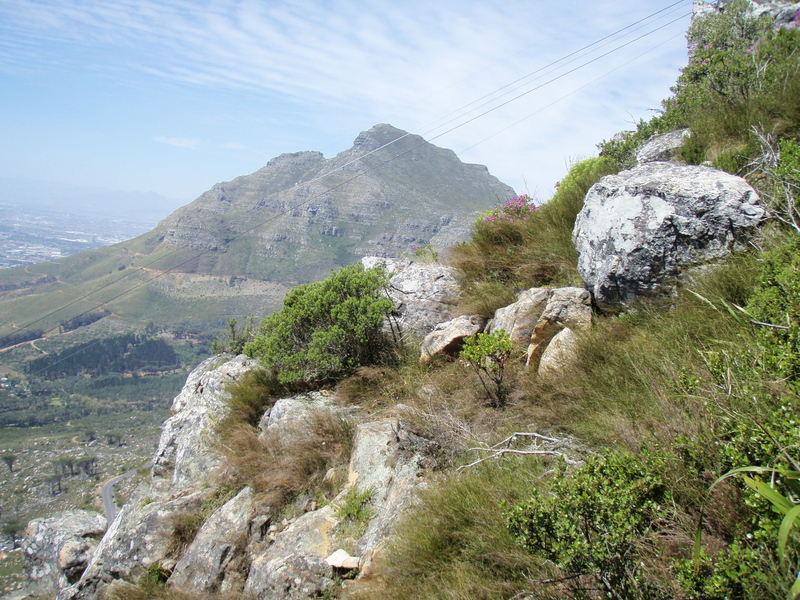 The India Venster trail passes under the Table Mountain Cableway, along an area of known as India Ravine. Viewed from the bottom of the mountain the area resembles the shape of India. 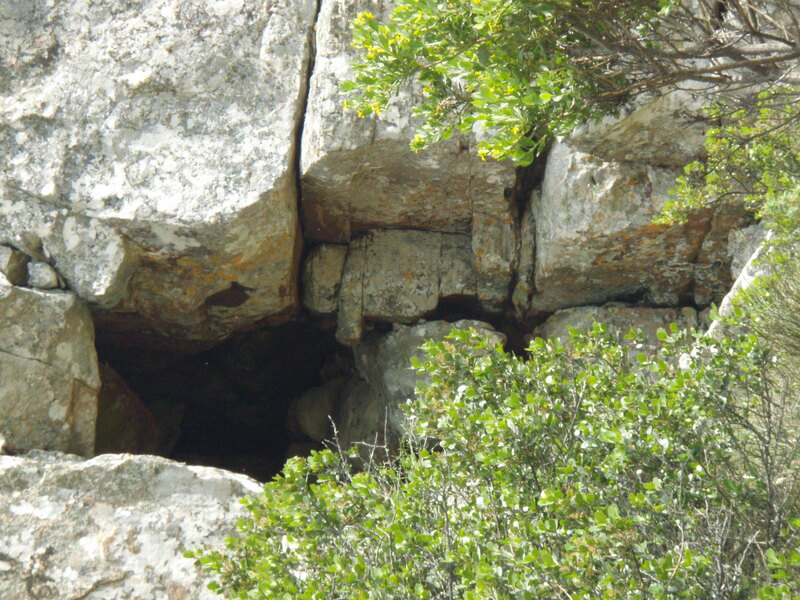 The ‘venster’ (window in Afrikaans) is a point where the rock forms a little window. 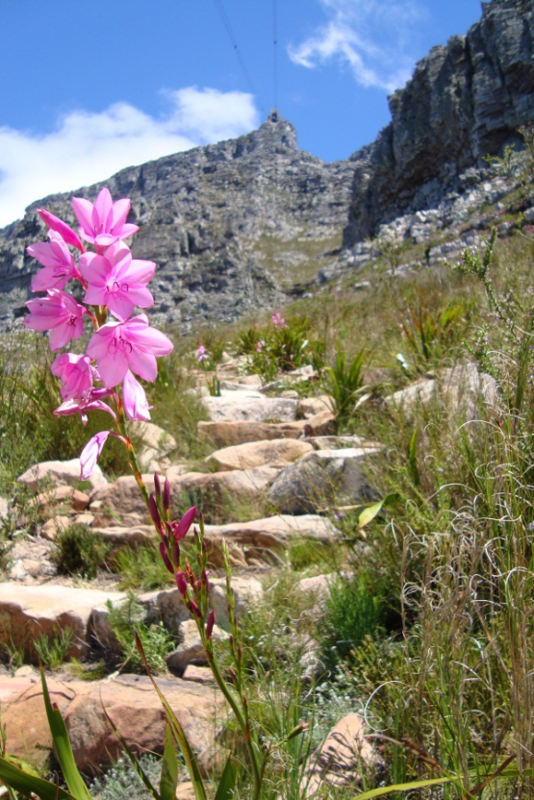 India Venster is a favorite Table Mountain hike! The texture of the rock as you get closer is amazing to see and feel and the spring flowers are gorgeous. We only saw three other hikers on the trail and I made friends with a starling – maybe it was the raisins and peanuts – a very satisfying day! 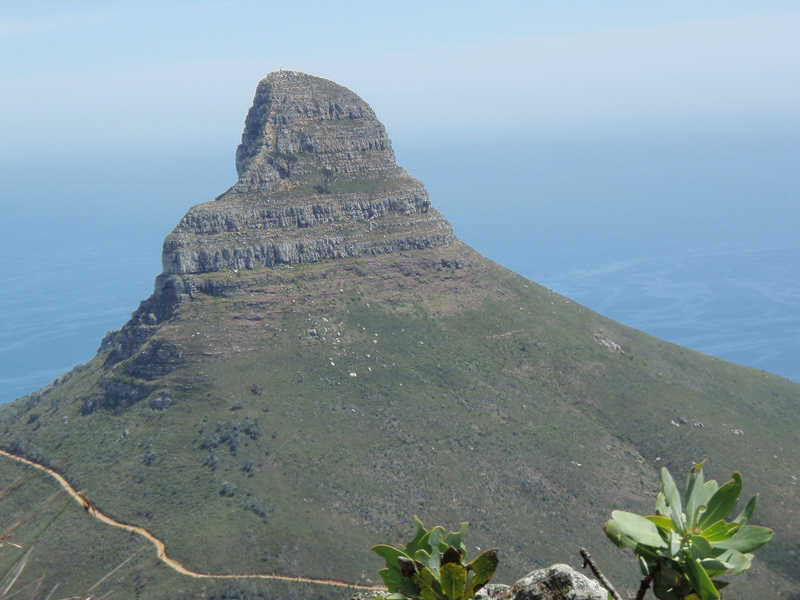 This entry was posted in South Africa and tagged India Ravine, India Vester, Kloof Nek, Table Mountain, Table Mountain Cableway by suemtravels. Bookmark the permalink.